Italian Cubed Beef is comfort food like no other and is simple to prepare for a weeknight meal. 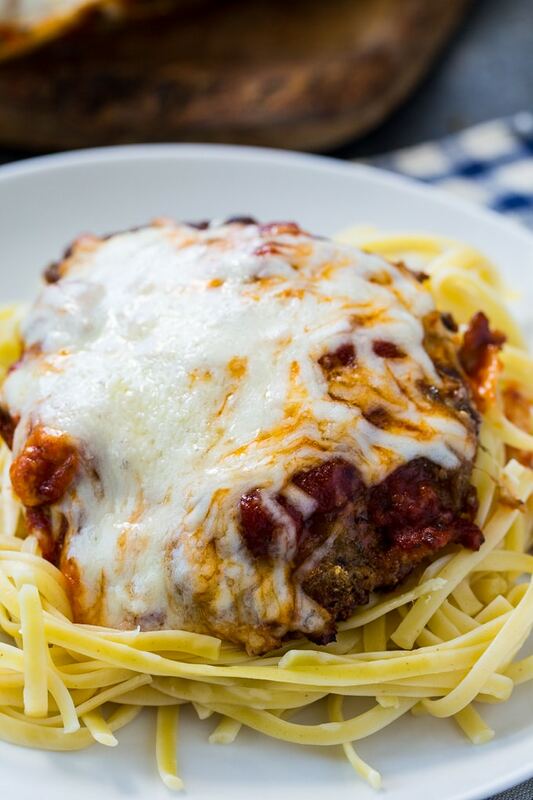 Cubed steaks are breaded and fried and covered in pasta sauce and a blanket of melted cheese. Serve over pasta for a filling and economical family meal. Cubed steaks are such an inexpensive way to have beef for dinner. I love them Chicken Fried, but I think that this is my favorite way to cook cubed steak. Cubed steak is just an inexpensive, typically tough piece of meat that has been tenderized. To make Italian Cubed Beef, coat 4 pieces of cubed steak in a mixture of flour, garlic powder, salt and pepper and then dip in egg mixed with some milk, and finally coat in a Italian seasoned bread crumb and Parmesan cheese mixture. Brown them in a skillet with a little oil for just about 2 minutes per side. Then transfer them to a baking dish and bake at 375 degrees for 25 minutes to fully cook them. Top them with some pasta sauce (use your favorite jarred sauce or homemade) , lots of mozzarella cheese and Parmesan cheese. Pop the cubed steaks back in the oven just until the cheese is melted. Serve with pasta for an unbelievably delicious Italian-style meal. 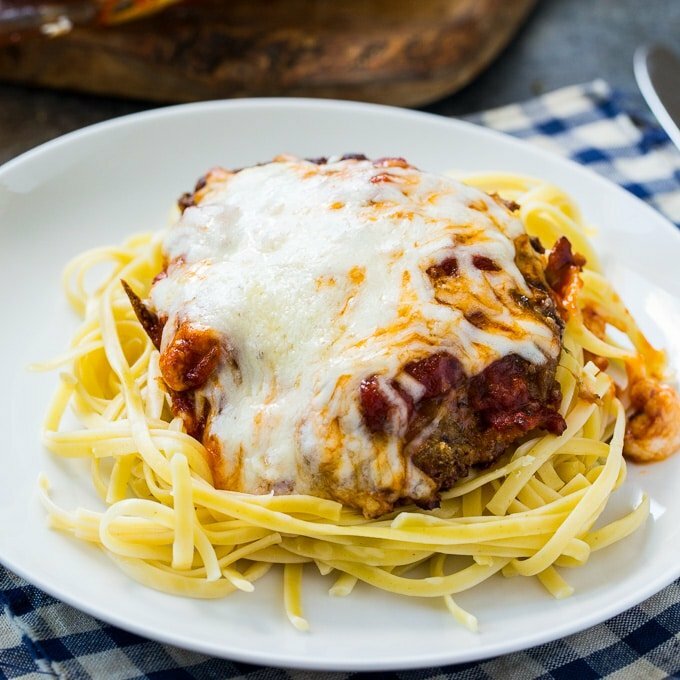 Italian Cubed Beef is breaded, fried and covered in pasta sauce and a blanket of melted cheese. Serve over pasta for a filling and economical family meal. Preheat oven to 375 degrees and lightly grease a 9x13-inch pan. Combine flour, salt, garlic powder, and pepper in a shallow dish or a paper plate. Whisk together egg and milk in a shallow bowl. Combine bread crumbs and 1/3 cup Parmesan cheese in another shallow dish or on a paper plate. Dredge cubed steaks in flour mixture, dip in egg mixture, and then coat with bread crumb mixture. Heat oil in a large skillet over medium-high heat. Cook cubed steaks for about 2 minutes per side to brown them. Transfer them to prepared baking dish. Bake 25 minutes. 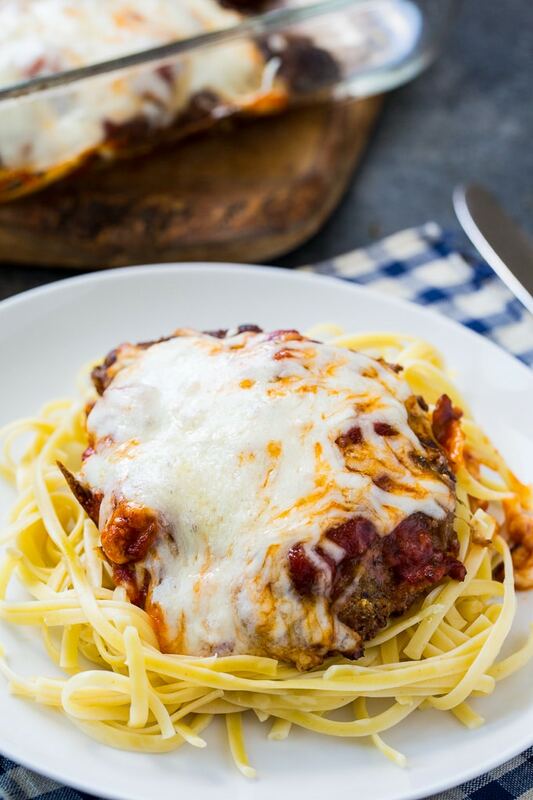 Top cubed steaks with pasta sauce, mozzarella cheese, and Parmesan cheese. Place back in the oven for another 10 minutes to melt the cheese. Serve over pasta.